iOS 7 embodies deference, clarity and depth. Using GPUImage, this tutorial looks at one of the most appealing aspects of depth; the iOS 7 blur effect. Among the many visual changes of iOS 7, one of the more appealing is the subtle use of blurs throughout the OS. Many third-party apps have already adopted this design detail, and are using it in all sorts of wonderful and creative ways. This tutorial will walk you through several different techniques for implementing iOS 7 blur effects, all with the assistance of a framework called GPUImage. Created by Brad Larson, GPUImage is a framework which, by taking advantage of the GPU, makes it incredibly easy to apply different effects and filters to both images and videos, whilst maintaining great performance; often more performant than any of the built-in methods provided by Apple’s APIs. Note: This tutorial requires a physical device to build the sample project; it won’t work in the simulator. You’ll also need an iOS Developer account. If you don’t have a developer account, you can sign up for one here. There are a bunch of awesome perks of being a registered developer, such as being able to develop using physical devices, early access to betas, and a ton of developer resources. 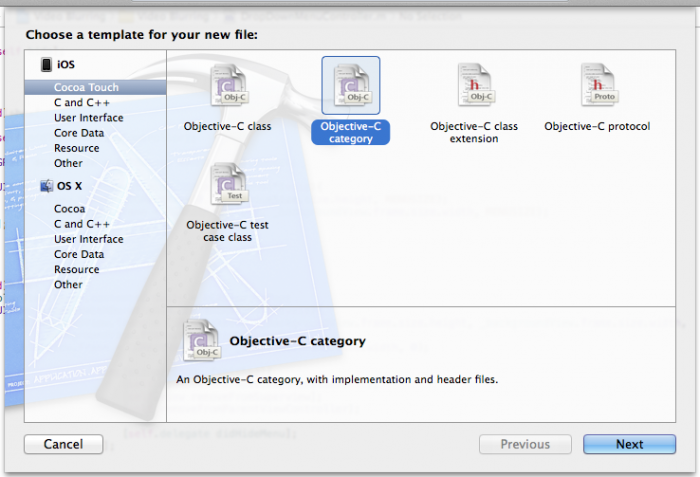 Download the starter project here and extract it to a convenient location on your drive. Tap the Menu in the upper-left of the screen (the three horizontal stripes). 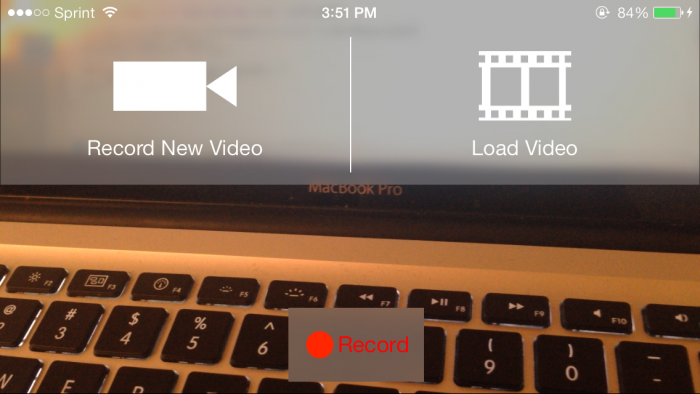 You’re presented with two options: record a new video or play back an existing video. Notice how all of the user interface elements have a gray backdrop; that’s rather dull. You’ll be replacing those dull gray backgrounds with some nice iOS 7 blur effects instead. Depth provides cues to the user that the interface is layered, and helps them understand how to navigate your app. Previous iOS versions communicated depth with three-dimensional bevels and glossy buttons reflecting an emulated light source, but iOS 7 communicates depth using blurs and parallax. The parallax effect is evident when you tilt your iOS 7 device from side-to-side. You’ll notice the icons appear to move independently from the background. 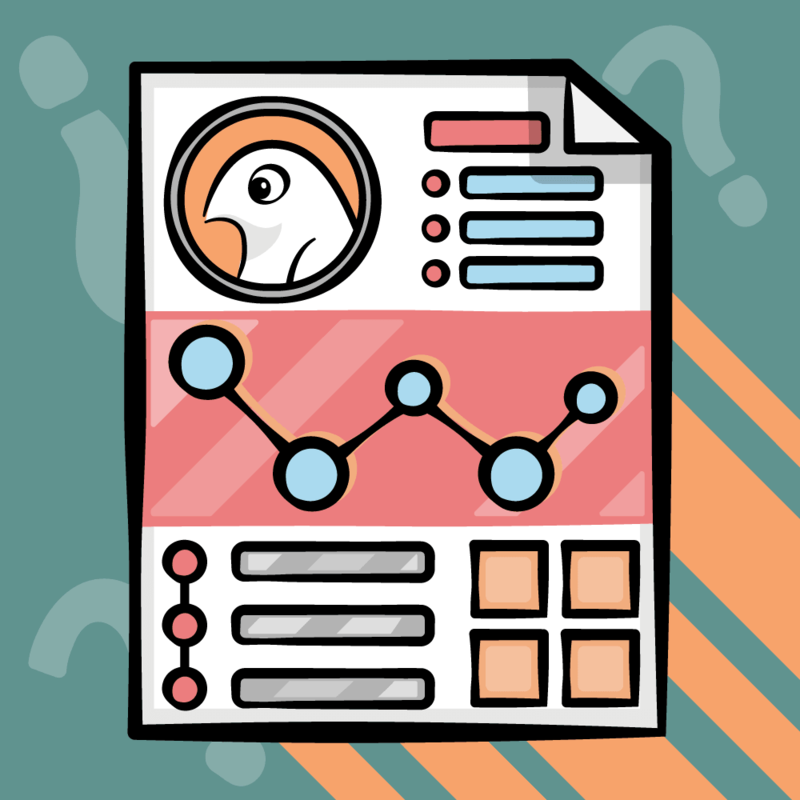 This provides cues to the user that the interface is composed of different layers, and that important elements sit on top of other less important interface elements — which leads into the next concept: context. Context allows a user to get a sense of bearing within your app. Animated transitions provide excellent context; instead of having a new view instantly appear when you tap a button, animating between the views gives the user a moment to understand where the new view originates from, and how they may get back to the previous one. Blurs allow you to show the previous view in the background, albeit out of focus, to give the user even more context as to where they were a moment ago. The Notification Center is a great example of this; when you pull it down, you can still see the original view in the background whilst you work on another task in the foreground. Focusing on selective items removes clutter and lets the user navigate quickly through the interface. Users will instinctively ignore elements that are blurred, focusing instead on the more important, in-focus elements in the view. You will implement two different types of blurs in this tutorial: Static Blur and Dynamic Blur. Static blurs represent a snapshot in time and do not reflect changes in the content below them. In most cases, a static blur works perfectly fine. Dynamic blurs, in contrast, update as the content behind them changes. It’s much more exciting to see things in action than to talk about them, so head right into the next section to get started on adding some iOS 7 blur effects! The first step in creating a static blur is converting the current on-screen view into an image. Once that’s done, you simply blur that image to create a static blur. Apple provides some wonderful APIs to convert any view into an image — and there are some new ones in iOS 7 to do it even faster. These new APIs are all part of Apple’s new snapshot APIs. 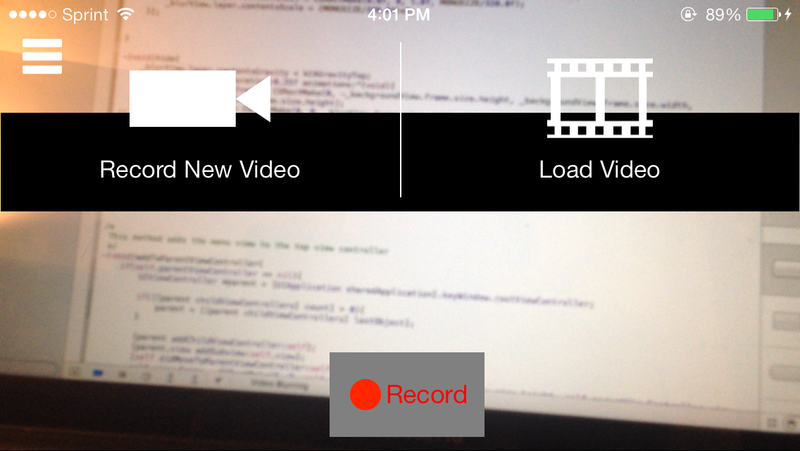 The snapshotting APIs give you the ability to capture not just a single view, but also the entire view hierarchy. That means if you instruct it to capture a view, it will also capture all the buttons, labels, switches and various views that are placed on top of it. 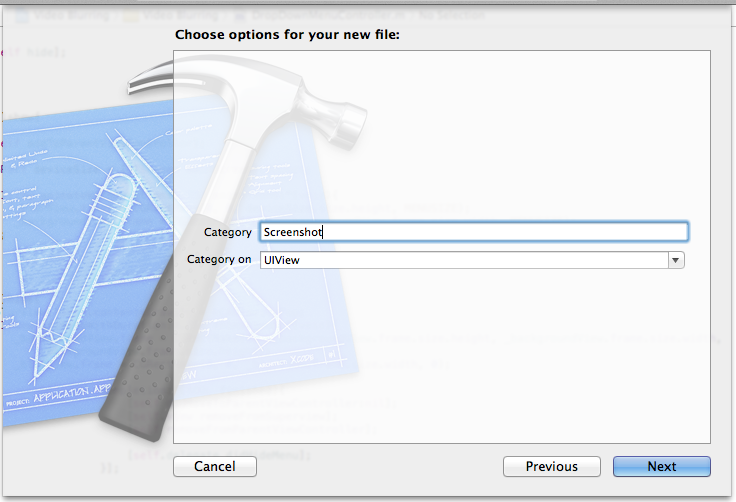 You’ll implement this capture logic as a category for UIView. That way, you can quickly and easily convert any view and its contained view hierarchy into an image — and get some code reuse to boot! The method above starts with a call to UIGraphicsBeginImageContext() and ends with UIGraphicsEndImageContext(). These two lines are bookends for what is known as the image context. A context can be one of several things; it can be the screen, or as in this case, an image. The net effect of these two lines is an off-screen canvas on which to draw the view hierarchy. drawViewHierarchyInRect:afterScreenUpdates: takes the view hierarchy and draws it onto the current context. Finally, UIGraphicsGetImageFromCurrentImageContext() retrieves the generated UIImage from the image context, which is the object returned by this method. Now that you have a category to hold this logic, you’ll need to import it in order to use it. Here you ensure you capture not just the view but its superview as well. Otherwise, you’d just capture the menu alone. 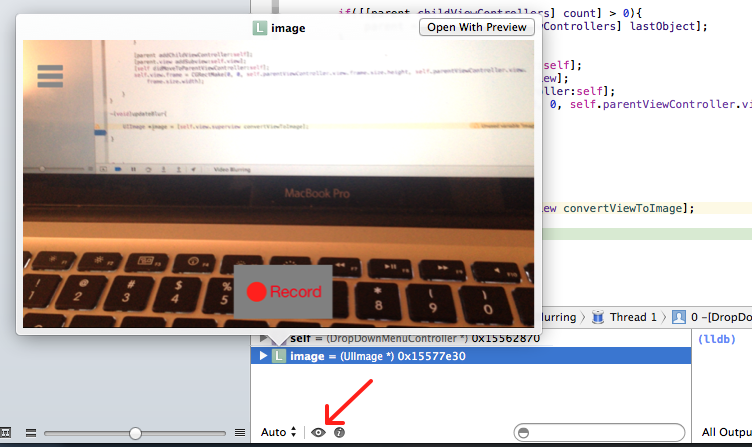 To test out your code, add a breakpoint on the line directly below the call to convertViewToImage. The program will halt execution when it hits the breakpoint and you can view the captured image to make sure your code is functioning properly. The only thing left to do before you test things out is to call your new method. There’s your captured image, as expected. Now it’s a simple matter to display the captured image in the background of your menu. You’d usually use an instance of UIImageView to display an image, but since you’ll be using GPUImage to blur the images, you’ll need to use an instance of GPUImageView instead. The GPUImage framework has already been added to the project; you just need to import the header. Note: As GPUImage is included as a framework, you’ll need to use angle brackets instead of quotes in your import statement. 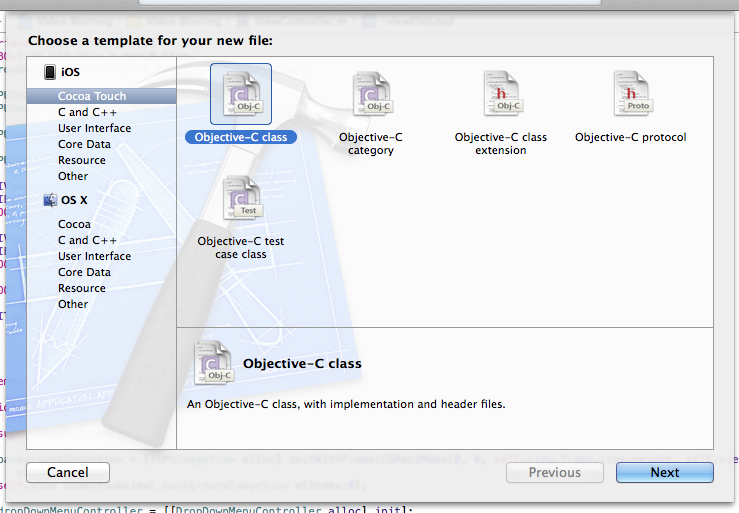 There’s currently an instance of UIView— _blurView — that gives the menu its gray background. You’ll notice that Xcode is giving you a warning: you’re initialising an instance UIView, not GPUImageView, as it expects. clipToBounds ensures the contents of the view stay inside the view, while contentsGravity fixes the image to the top of the image view. Since _blurView is already being used as the background, you don’t have to write any extra code to make it visible. You also need to declare the filter that you will use for blurring. Note that the blur radius is set to only a single pixel; you’re temporarily setting this to a low value so that you can ensure the image is properly positioned. Once you’re happy you’ll increase it later. Now you need to display the image in the GPUImageView. However, you can’t simply add an instance of UIImage to a GPUImageView as you would with a UIImageView — you first need to create a GPUImagePicture. At this point, you now have your image, blur filter and image view. These statements act as the glue which bonds everything together. You add the filter as a target of the picture, and then the image view as a target of the filter. The really neat part of all this is that the image processing is taking place on the GPU; this means that the user interface won’t stall while the blur is calculated and displayed. The final result will simply show up in the image view when the processing is complete. Typically this doesn’t take much time at all, but it never hurts to let the GPU do the heavy lifting when appropriate. That looks a little odd, doesn’t it? What you’re seeing now is the resized image shrunk to fit inside the menu view. To correct this, you’ll need to specify what part of the image you want to show inside the GPUImageView — namely, the top half of your captured and processed view. 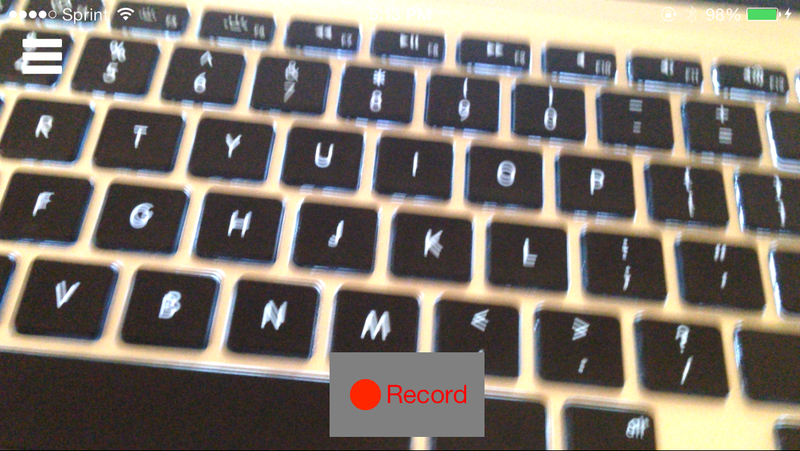 _blurView.layer.contentsRect = CGRectMake(0.0f, 0.0f, 1.0f, MENUSIZE / 320.0f); // Add this line! By specifying the contentsRect you define the rectangle, in the unit coordinate space, that indicates the portion of the layer’s contents that should be used. Uh, that still doesn’t look right! You’re using the correct part of the image, but it’s still scaling inappropriately! The piece you’re missing is the correct content scaling. The contentsScale property defines the mapping between the logical coordinate space of the layer (measured in points) and the physical coordinate space (measured in pixels). Higher scale factors indicate that each point in the layer is represented by more than one pixel at render time. Yeah — that looks much better! Now close the app, re-open it, and…uh-oh, what’s happened? Well that’s a bit problematic, to say the least. If you reset the contentScale back to 2.0 before you animate the view, it fixes the half bar problem. Build and run your app; tap Menu, close the menu, and then tap Menu again. What does your menu look like now? The half-size black box is no longer a problem — but now you have a full-size black box to contend with! This issue comes about the second time you calculate the blur; the proper way to solve this is to remove all of the targets from the blur which resets the filter. If you don’t then the filter call outputs nothing at all. 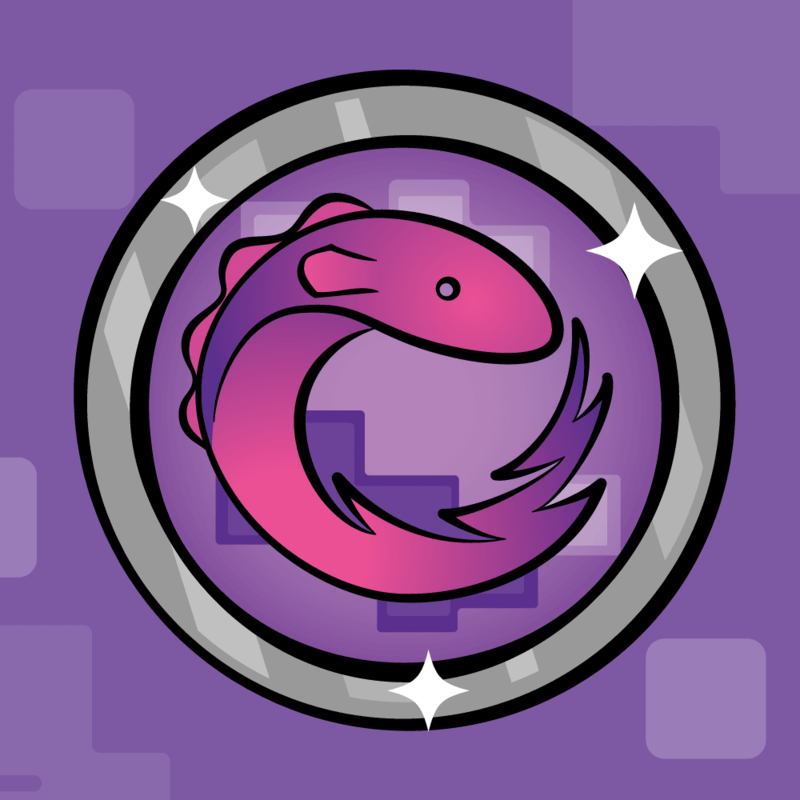 Here you’ve replaced processImage with processImageWithCompletionHandler:. This new method has a completion block that runs once the image processing is complete. Once the image is completely processed, you can safely remove all of the targets. Open and close the menu a few more times to make sure you’ve squashed that bug for good. Look closely at the blur effect as the menu opens — something doesn’t look quite right. To get a closer look, slow down the animation to see what’s happening in slow motion. Update the duration of the animation block in show to 10.0f. Ah, now you can see what’s wrong. The blurred image is sliding in from the top. You really want it to appear as if the blur effect itself is sliding down the screen. This is where you need to play some tricks with the static blur. When the menu comes down, you need to align the blur with the backdrop instead. So instead of shifting the image view down, you need to expand it, starting at size zero and expanding to full size. This ensures the image will stay in place as the menu opens. You already have the menu open to the full size in show — you just need to set the height of contentRect to zero when the image view is first created and when it is hidden. The contentRect property can be animated as well; therefore the original and updated rects will be interpolated automatically during the animation. That looks much more natural. You now have a slide-in menu with a blurred background. Before moving on, re-adjust the little bits of code you changed for testing purposes. Go to the show method and change the duration of the animation block to 0.25. Next, in updateBlur, change the value of _blurFilter.blurRadiusInPixels to 4.0f. Live blurring is a technically difficult issue to solve. In order to do live blurring effectively you need to capture the screen, blur it and display it, all whilst maintaining 60 frames per second. Using GPUImage, blurring images and displaying them at 60 frames per second is no problem. The real tricky bit? How to capture the live screen images, believe it or not. Since you are working with capturing the main user interface, you must use the main thread of the CPU to capture the screen and convert it into an image. Note: The human eye generally can’t notice anything faster than 46 frames per second. This helps us out as developers because modern processors can get a lot of work done between each of those frames! When you run a program, you are executing a list of instructions. Each list of instructions runs inside its own thread, and you can run multiple lists of instructions concurrently in separate threads. An app starts on the main thread and new threads are created and executed in the background as necessary. If you haven’t had to manage multiple threads before, you’ve likely always written your apps to run exclusively on the main thread. The main thread handles interactions and updates to the user interface; it’s critical to make sure that it stays responsive. If you overload the main thread with tasks, you will see the user interface start to stutter or freeze up completely. If you’ve ever scrolled through the Twitter or Facebook app on your phone, then you’ve seen background threads in action. Not all profile pictures show up immediately as you scroll; the app launches background threads to fetch the image, and once the image has been retrieved it then shows up on-screen. Without background threads, the scrolling table view would freeze while it tried to retrieve each and every profile image; since retrieving an image can take several seconds, it’s best passed off to a background thread to keep the user interface smooth and responsive. So how does this affect your app? The UIView snapshot APIs covered earlier must be run on the main thread. This means that each time they run, the entire interface will freeze for a moment before it continues on. For static blurs, this action happens so fast that you don’t notice it. You only need to capture the screen once. 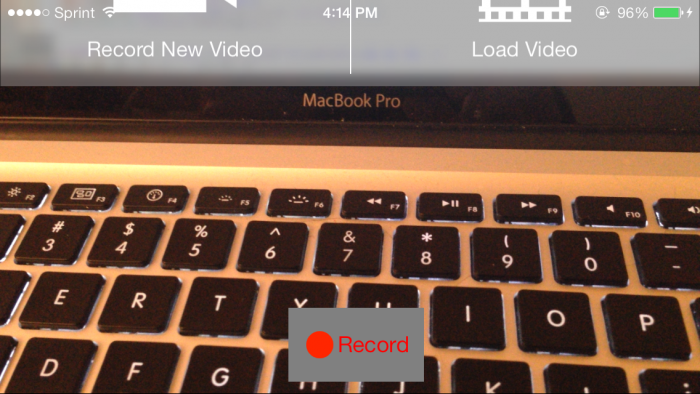 However live blur effects need to capture the screen 60 times a second. If you performed live captures like this on the main thread, animations and transitions would become choppy and stuttered. Even worse, as the complexity of your user interface increased, the time it would take to capture the interface would also increase, and your app would stutter even more! What to do, dear reader? One solution which many open source live blur libraries use is to slow down the capture frame rate. So instead of capturing the interface every 60 seconds, you capture it maybe 20, 30 or 40 times a second. Even though it doesn’t seem like much of a difference, your eye will pick up the delay. You’ll notice that the blur is out of sync with the rest of the app — and it sometimes looks worse than doing no blurring at all. Apple handles live blur in some of their apps without issue — but unfortunately they haven’t made this API public yet. 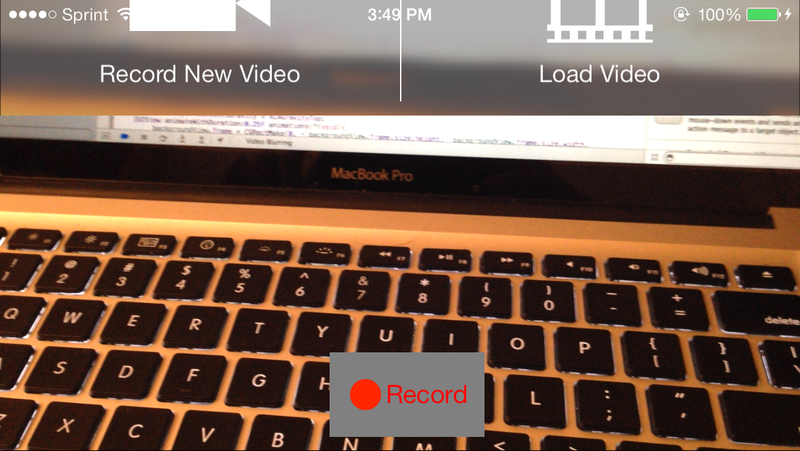 The UIView snapshot APIs of iOS 7 are a huge improvement over the old ways of doing things, but they aren’t quite fast enough for live blurring. Some developers have seized on the blurring features of the UIToolbar to do their dirty work. Yes, it works, but it’s strongly advised that you do NOT use that in your production apps. Sure, it isn’t a private API, but it is an unsupported feature and Apple may reject your app should you use it. This means there are zero guarantees or promises that it will continue to work this way in your app under future versions of iOS 7. Apple could modify the UIToolbar at any point and break your app in ugly ways. In the iOS 7.0.3 update, Apple modified the effect in the UIToolbar and UINavigationBar and some developers reported that the effect stopped working altogether. Don’t fall into this trap! 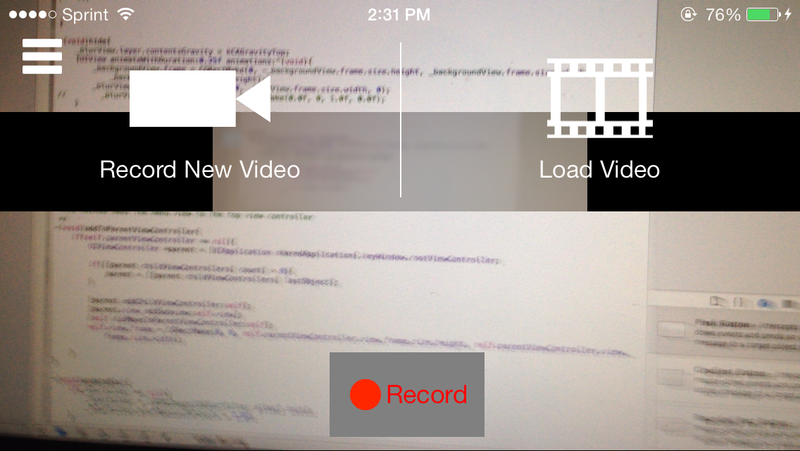 All right, you might have to concede that live blurring in your apps isn’t possible at the moment. So what is possible right now, given the limitations on live blurring? Static blurring is an acceptable compromise in many situations. In the previous section, you modified the view to make it appear as if the view was actually blurring the image behind it with a bit of visual trickery. As long as the view behind it doesn’t move, a static blur usually fits the bill. You can also achieve some nice effects by fading in the blurred background. Do some experimenting and see if you can find some effects to minimize your inability to perform live blurs. One thing you can do is blur live video. The bottleneck again is capturing the screen, but GPUImage is very powerful and capable of blurring videos, either live video from the camera or pre-recorded video. The process for blurring videos with GPUImage is very similar to blurring an image. With images, you take an instance of GPUImagePicture, send it to a GPUImageiOSBlurFilter and then send that on to a GPUImageView. In a similar fashion, you’ll take an instance of GPUImageVideoCamera or GPUImageMovie, send it to a GPUImageiOSBlurFilter and then send it to a GPUImageView. GPUImageVideoCamera is used for the live camera on the iPhone, while GPUImageMovie is used for prerecorded videos. Instances of GPUImageVideoCamera and are already set up in the starter project. 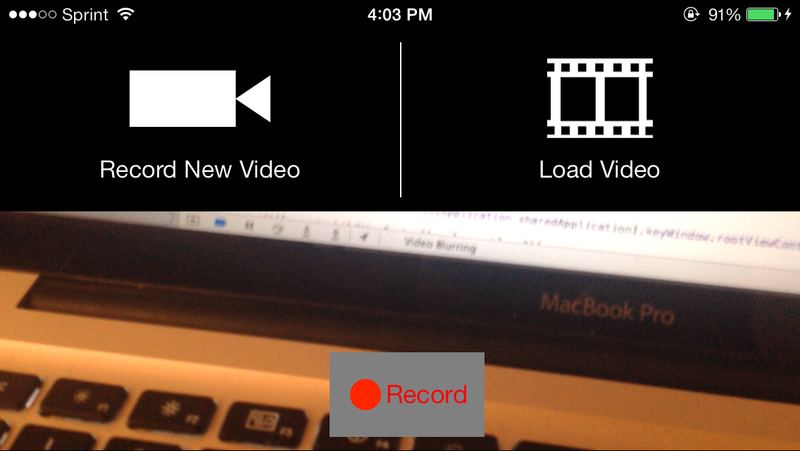 Your job is to replace the gray backgrounds for the play and record buttons with a live blurred view of the videos. The first thing to do is convert those instances of UIView providing the gray background to instances of GPUImageView. Once that is done, you’ll need to adjust the contentRect for each view based on the frame of the view. This sounds like a lot of work for each view. To make things a little easier, you’ll create a subclass of GPUImageView and put your custom code in there so it can be reused. 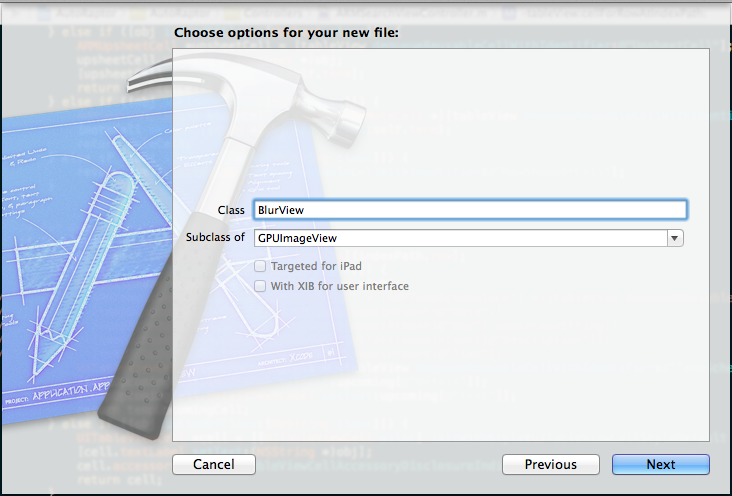 BlurView *_controlView; //Update this too! CGRectMake(self.view.frame.size.height/2 - 50, 250, 110, 60)]; //Update this! //_recordView.backgroundColor = [UIColor grayColor]; //Delete this! CGRectMake(self.view.frame.size.height/2 - 40, 230, 80, 80)]; //Update this! //_controlView.backgroundColor = [UIColor grayColor]; //Delete this! You already know what GPUImageiOSBlurFilter does; what’s new here is GPUImageBuffer. 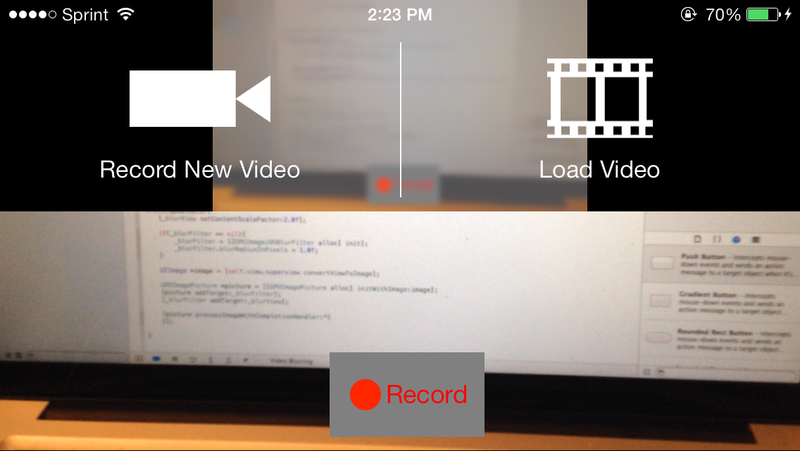 This takes the video output and captures one frame so you can easily blur the image. 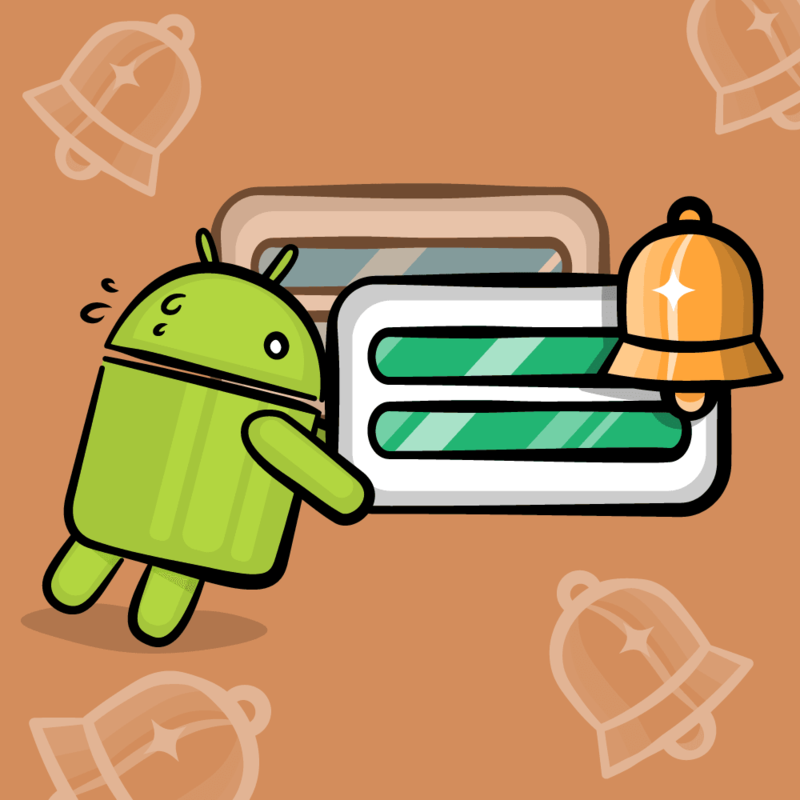 As an added bonus, this also helps improve the performance of your app! 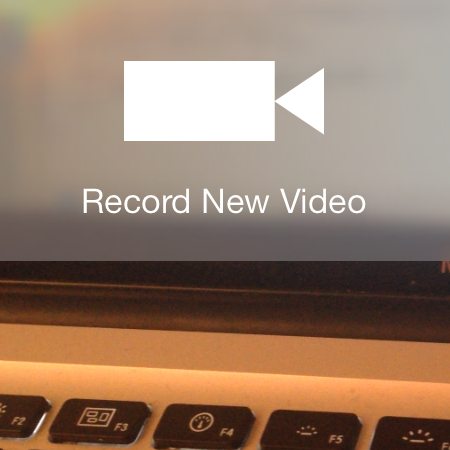 Normally you would send the output of the video through the blur filter and then onto the background view where it will be displayed. However, when you use a buffer, you send the output of the video to the buffer which then splits it into the background view and the blur filter. Doing this smoothes the video output display. UIAlertView *alert = [[UIAlertView alloc] initWithTitle:@"No camera detected"
message:@"The current device has no camera"
This results in a blurred background for the recording controls. You’ll need to do something similar for the play controls. The good news is that it works — mostly. The bad news is that the entire screen has been scaled down inside the button. This sounds like a similar problem to what you had before. You’ll need to set the contentRect appropriately for the BlurView. Each argument of the contentRect must be be between 0.0f and 1.0f. Here you simply take the location of the view and divide it by the size of the screen to get the numbers you need. Congratulations! 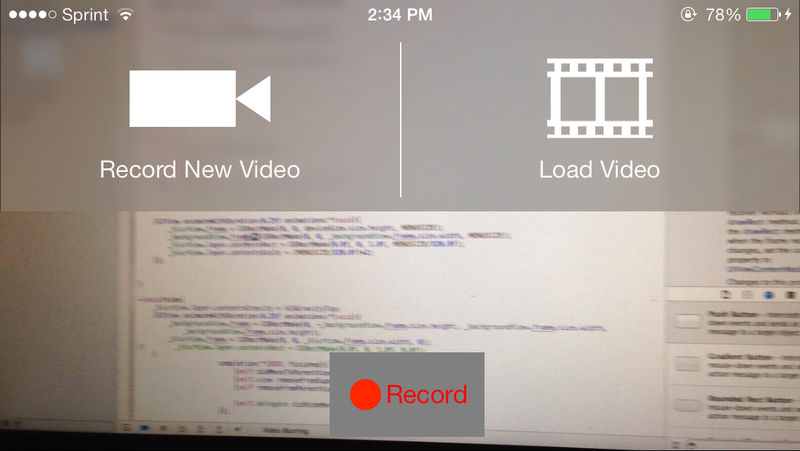 You have successfully implemented a static blur and a live video blur into your project. You are now fully armed with the knowledge to be able to add these iOS 7 blur effects into your own apps! You can download the completed project here. This tutorial has taught you not only about using iOS 7 blur effects in your app, but also how to make use of the GPUImage framework, which as I hope you’ve seen is a very powerful and capable framework. Importantly, we also touched on why blur, when used properly, is a key aspect of the new iOS 7 design language. Hopefully Apple will provide access to the same API’s they’re using in a future update to the SDK, but until that happens GPUImage is a cracking substitute. Blurring is just the very beginning of what to you’re able to do using GPUImage. The process discussed in this tutorial can be applied to a wide range of different filters and effects. You can find all of them in the documentation. Hope you enjoyed the tutorial! If you have any questions or comments, please join the forum discussion below!